The grass is always greener on the opposite side. I’ll bet your parents used that expression on you more than a few times while you were growing up, didn’t they? Well, it seems that people are never satisfied and want what they cannot have. Well, just like blonde or curly hair can be achieved from a bottle and a good stylist, you, too, can have a larger looking living room by using some tricks and secrets the interior designers use. Sometimes things are really fixable! In order to achieve a larger-looking living room without the expense or mess of a remodeling job, just read below to find out some tips on how to achieve that look. 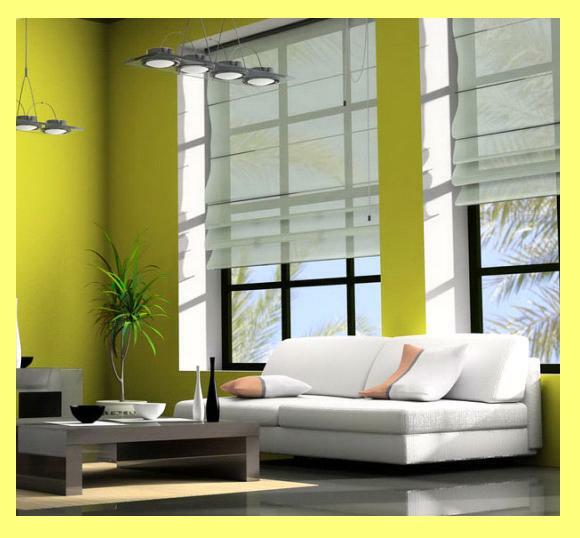 The use of color in the living room is an excellent means of giving the illusion of a larger room. Some of the ways to do these simple color fixes are by using the same colors throughout the entire room. This not only applies to the actual paint color, but also to texture. By using light hues for wall color or wallpaper, as well as floor and window treatments, and even upholstery, the lighter colors will open up and expand the area making it appear much larger. If the living room is irregularly shaped, by keeping the same color tones throughout the living room, it will help to harmonize the room, so that you see the overall look, rather than how the room may be broken up into odd shapes. If you don’t like very light-colored wall colors since you wish to prevent touch-ups and repainting due to heavy traffic areas, children or pets, you also could use light shades of blue, green and purple which have the ability to appear as though they recede, making them a good choice for a smaller room where you desire the room to appear much more spacious. The use of glass and mirrors is a significant way to create the illusion of a larger living room, and with careful positioning of these items, it will indeed open up the area to make it appear much larger. Using mirrors horizontally to run the full length of one wall in the living room, will not only be an extremely elegant look, but will instantly give the illusion the room is bigger. If you don’t like the horizontal mirrors, you can also position the mirrors vertically so they angle up toward the ceiling. If you are skeptical or leery of using that many mirrors, a simple solution is to purchase one very large mirror and position it vertically in a corner or in an area where it can stand alone on the floor. The reflection given off of such a large mirror is a trendy look and may achieve the desired effect for you, rather than simply hanging mirrors that run the length or width of one entire wall. Any mirrors hung up high on the wall above one’s head, are not for peering into, but merely for effect, and are guaranteed to garner the desired outcome of the living room looking larger than it actually is. If you really want to give the illusion of a larger living room when you are hosting a group of people, try and fool them all by putting a large wall mirror on the wall against an adjoining room where the party is being held. When your guests look up, they will see a reflection of bodies mingling in the room, thus tricking the mind into thinking the wall has been removed and then replaced with one long extended group room. Additionally, along with combining the lighter wall colors or wallpaper with the artful use of mirrors or glass to create the illusion of a larger living room, you can further boost the effect by using dimmer lights as well. The use of soft lights for ambiance, placed on top of, or in front of, any mirrors will double the impact of the lights, instantly creating the look that the living room is larger. 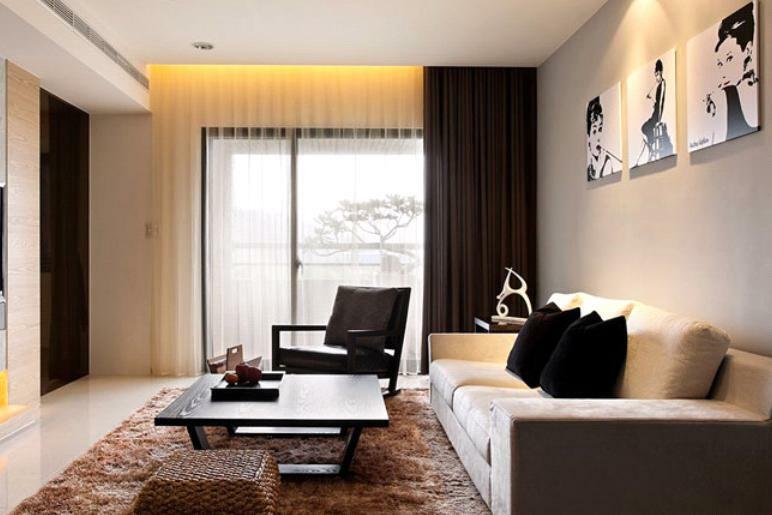 The ambiance of the low lights will work wonders to give your living room an elegant and sophisticated look as well. The expression of less is more applies to many things, but, if you are seeking to open up your living room to make it appear larger, you are wise to make the room less cluttered looking. In addition to creative lighting and lightening up the colors in the room, also try to lighten up the load, i.e. the arrangement of furniture and accessories. 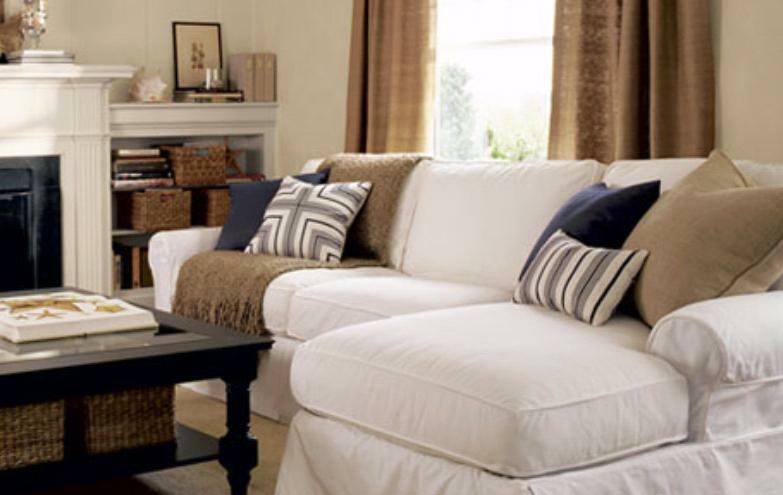 By creating a less cluttered and cramped look, the room will appear to grow in leaps and bounds. Whatever way you decide to maximize your living room, without rushing to tear out walls to be merged with existing rooms, save yourself the expense and mess by consulting with an expert in glass installation here in New Jersey first.